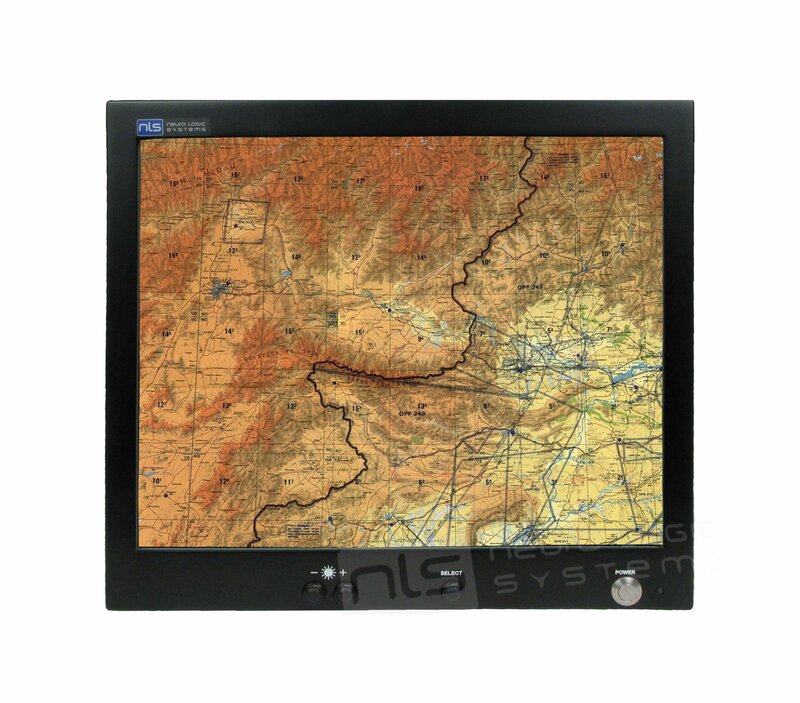 The CF-19-GTC is a 19” display designed for deployment on military aircraft. The rugged aluminum alloy housing, front panel control buttons and MS-38999 I/O connectors work together to provide IP65 level environmental sealing against blowing dust, sand and water. An array of special rubber couplers provides high level isolation from the aircraft fuselage from severe shock impact.